10 days ago I noticed one of the doe deer could barely walk in our pasture. She was severely injured to her rear left leg and it was not weight bearing. 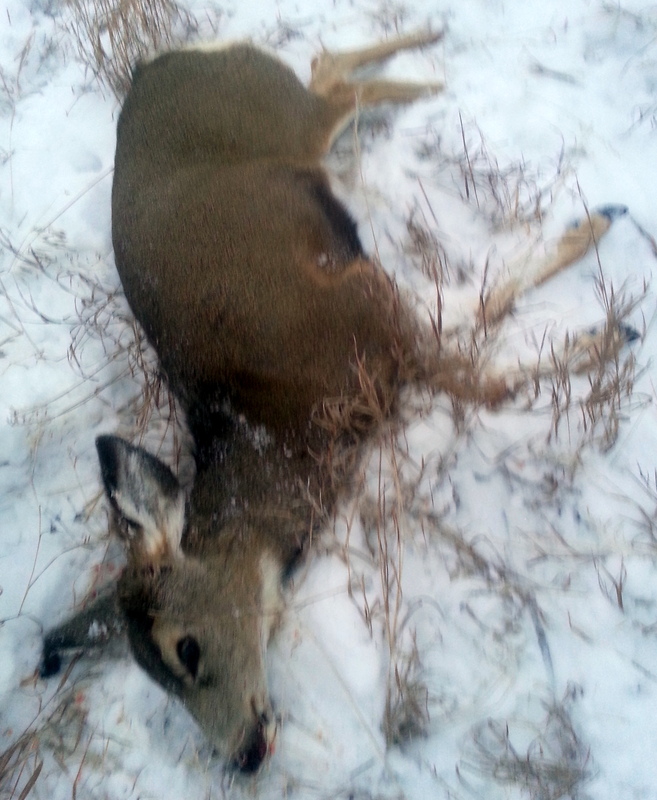 Today, 12/12/13 she was down in the irrigation ditch on our property and could not get up. We were only 15 feet from her and all she could do is lift her head up. I called Officer Gregg Losinski and he came right over and confirmed the injury and observed that she was crippled badly. She was losing weight, her backbone was visible. Officer Losinski safely dispatched the doe with a single head shot. She would have weighed about 120 pounds is my estimate. After she was dispatched I offered to harvest the animal for my personal use.